After a few weeks with the Sistem51 I am ready to write my final opinion on the piece. 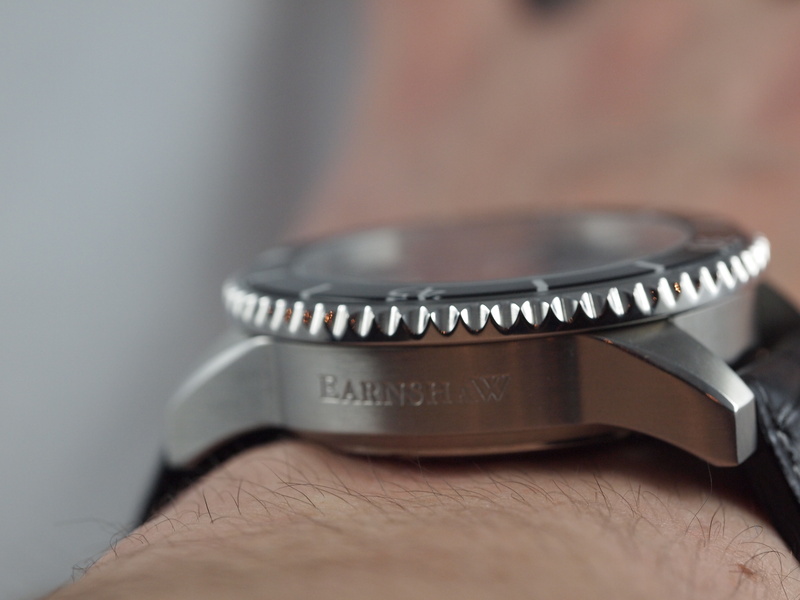 As a fan of innovative mechanics, I was incredibly anxious to get this watch on my wrist. Fortunately I have some wonderful family in Geneva who helped me out in this quest. While we unfortunately live in a world where people don’t get excited too excited over reasonably priced watches, and “innovation” usually comes with a price tag of over $20,000, it is refreshing to be able to write (positively) about a new piece that every watch lover can (and should) enjoy. 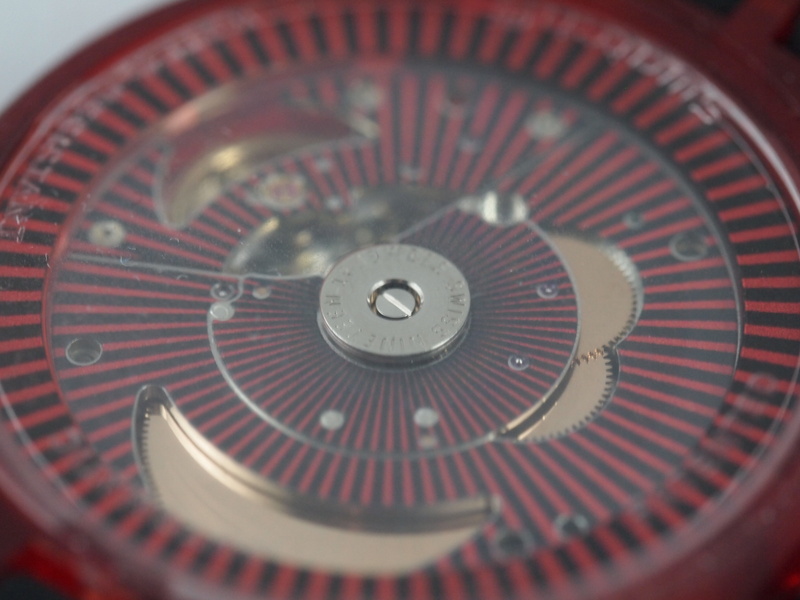 For those who do not know the details, the Sistem51 is the first mechanical watch assembled entirely by machine. 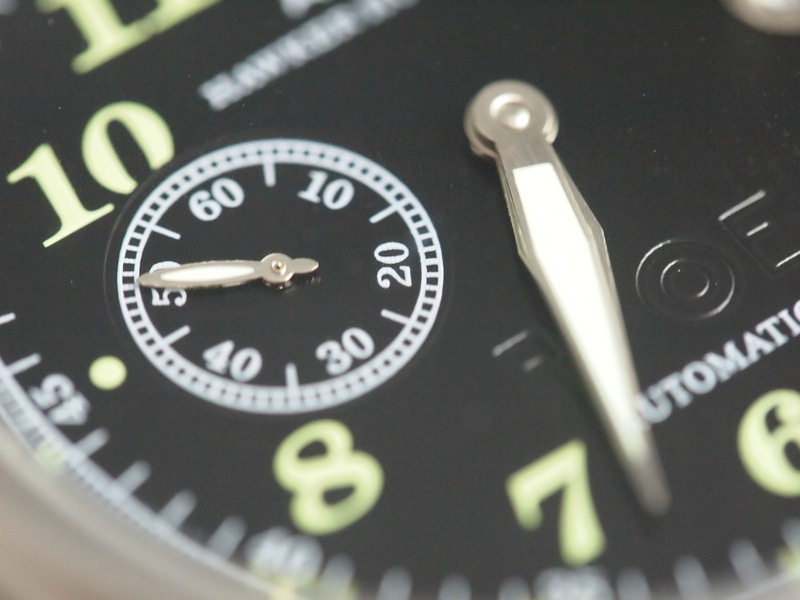 In this day and age that sounds like an odd concept, but when one sees the intricacy of mechanical watches, it becomes clear just how tough of a feat this was to accomplish. 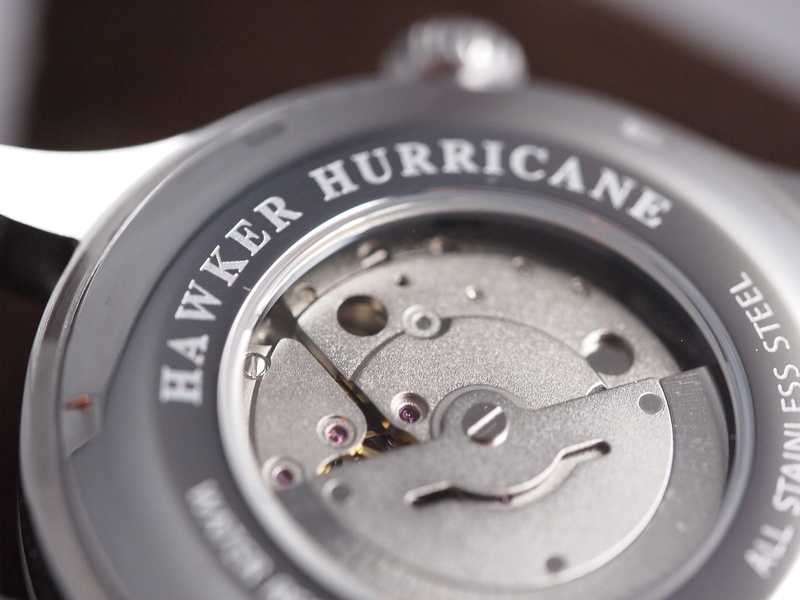 Watchmaking is one of the few industries where people are absolutely necessary for the very fine and iterative micromechanical movements needed to assemble a watch. Wheels and pinions need to be precisely aligned, the balance wheel needs to be lined up perfectly in the pallet fork, and several tiny compound movements are required to assemble and properly fit mechanisms. Because all the parts are dynamic no two assemblies are exactly the same, making the process nearly impossible to automatize. 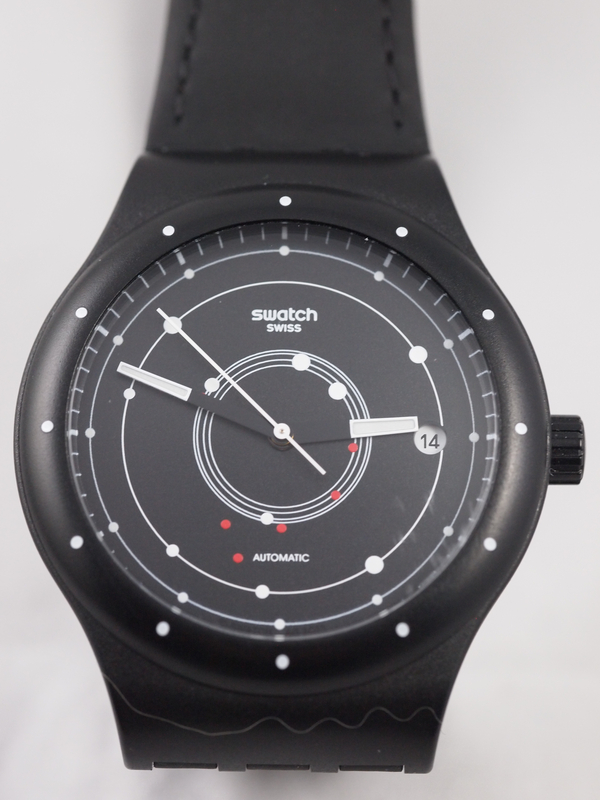 What is further impressive is that Swatch included a date function on the watch, meaning that there were several functions back and front to be assembled by a machine. All of these components are held together by a single screw visible on the back. This whole package is then hermetically sealed. There is no way into the watch for service. It is expected to run for 20 years without intervention. 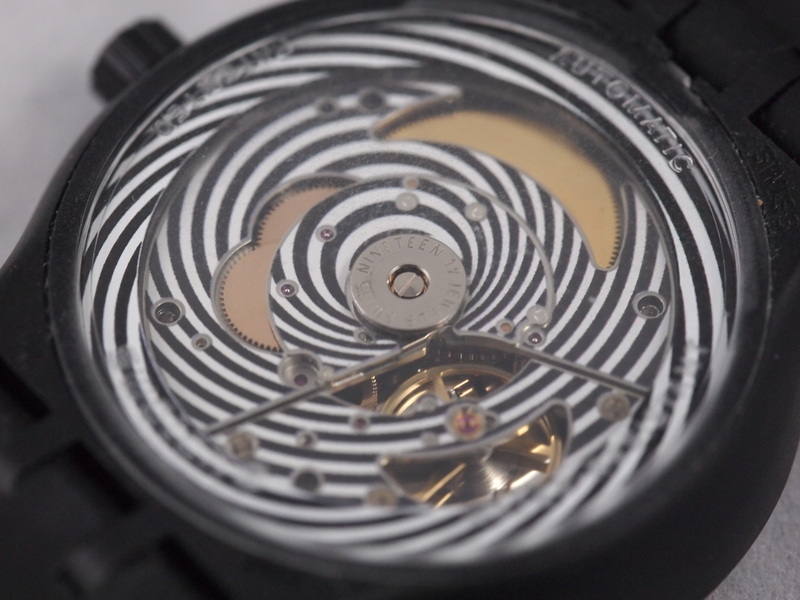 Engineering aside, this movement solves a growing problem for the Swiss watch industry. As price points for mechanical movements decline mostly due to the low costs of labor in Asia, Swiss manufacturers find themselves in a market where they cannot compete for mass quantity cheap mechanical movements. 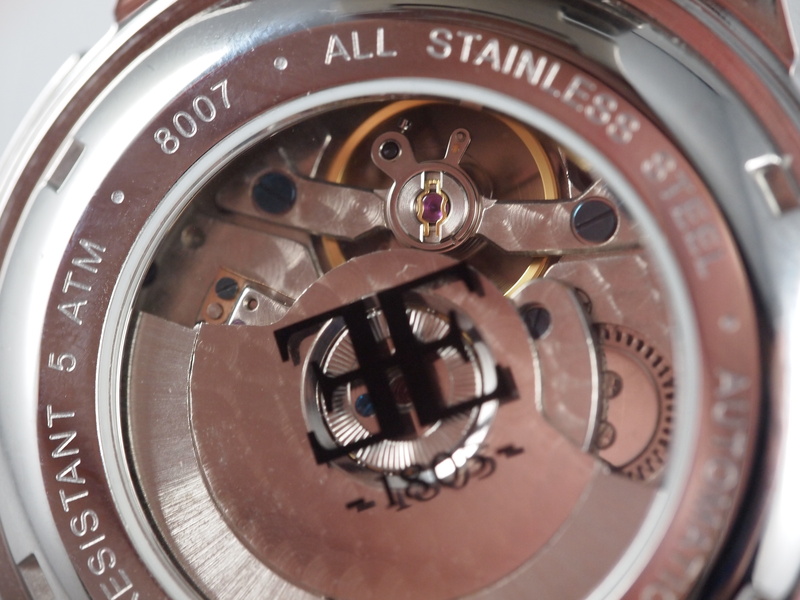 In a world where cost has won out over quality, the Swiss have found themselves in a losing battle, but this new low-cost, high-quality mechanical movement that allows a fashion watch to say “Swiss Made” has the potential to change the market entirely. Because the movements are made without human hands, they can achieve scale without offshoring or needing to up labor costs drastically. While this is total speculation, this is my hypothesis for why this movement was finally made. As there is no more valuable single attribute to a watch, the Swiss are banking on their name and some innovative manufacturing to recapture a market in which they have lost ground. 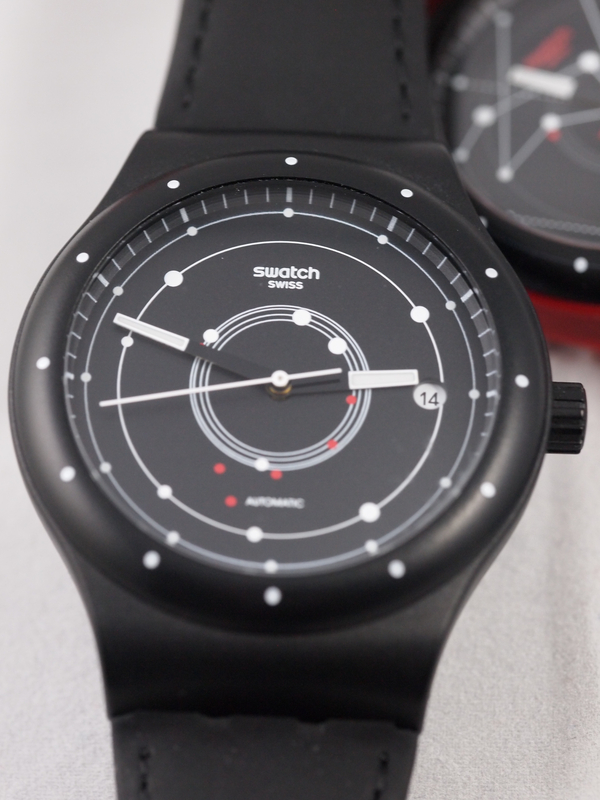 As Swatch CEO Nicholas Hayek said in an interview with watch insider (found here: http://www.watch-insider.com/reportages/conversation-nick-hayek-ceo-swatch-group/) controlling the lower market segment allows for a better command of the middle and upper segments (as well as making your business much healthier.) As the most dominant force in all market segments, he clearly understands the importance of his company’s creation. 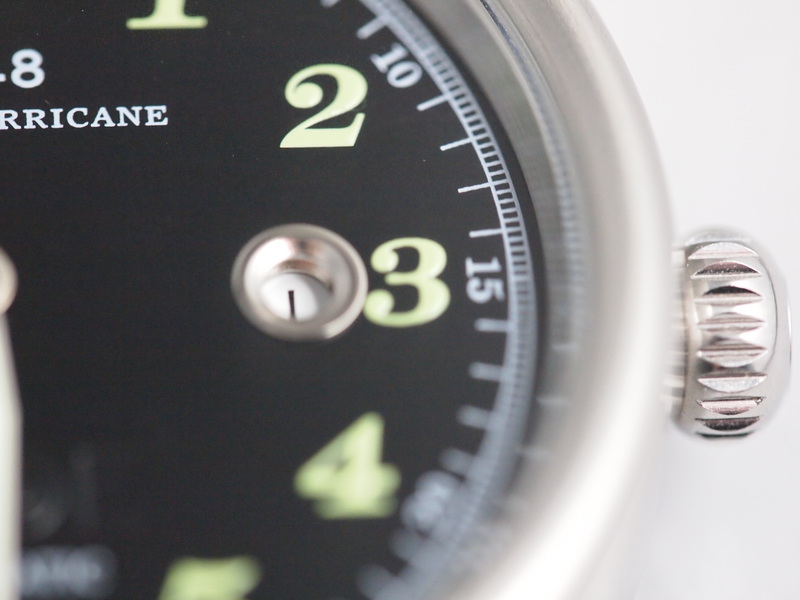 The Sistem51 will hopefully allow them to truly recapture this segment from further international encroachment and give consumers a confidence in the quality of lower cost automatic watches. 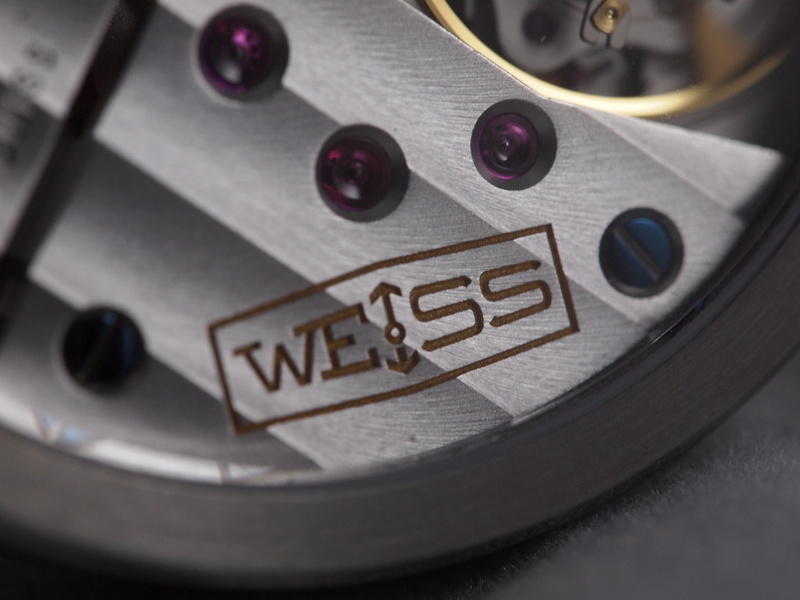 The precision and quality of Swiss manufacturing has been the gold standard for centuries, and the more that that quality can be brought to the broader market, and accessible to all, the better. When I first got this watch the first thing I did was to check all the functions. The manual wind spins in the opposite direction one would expect but there is nothing bad about that, it just takes some getting used to. 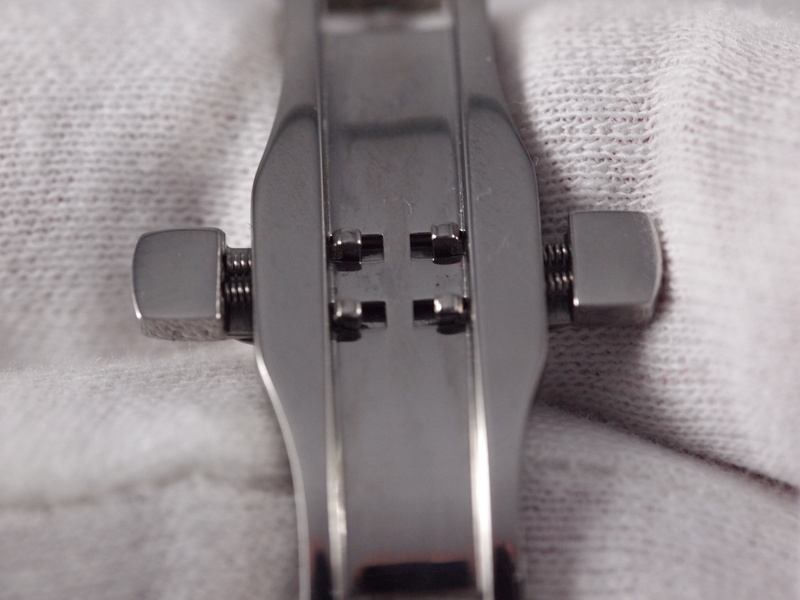 The quickset date is always a great function and works perfectly. The only thing I noticed that was consistently off (I got three watches) was when the date changed. The date flipped more than one hour and 40 minutes late. This was a frustrating thing to be so off. The movement is entirely sealed there is no way to change this problem. 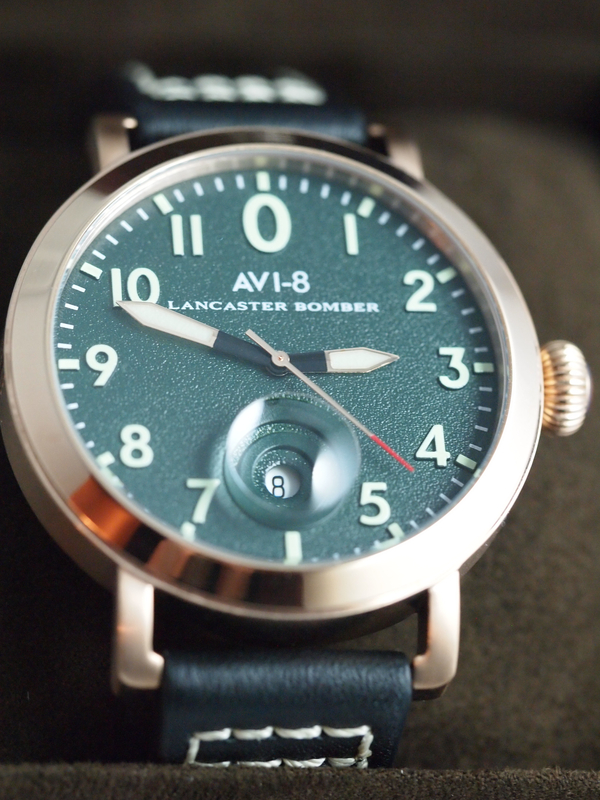 Looking past this however there is plenty to like about this watch. The rotor is clear allowing for an unobstructed view of the mechanics. 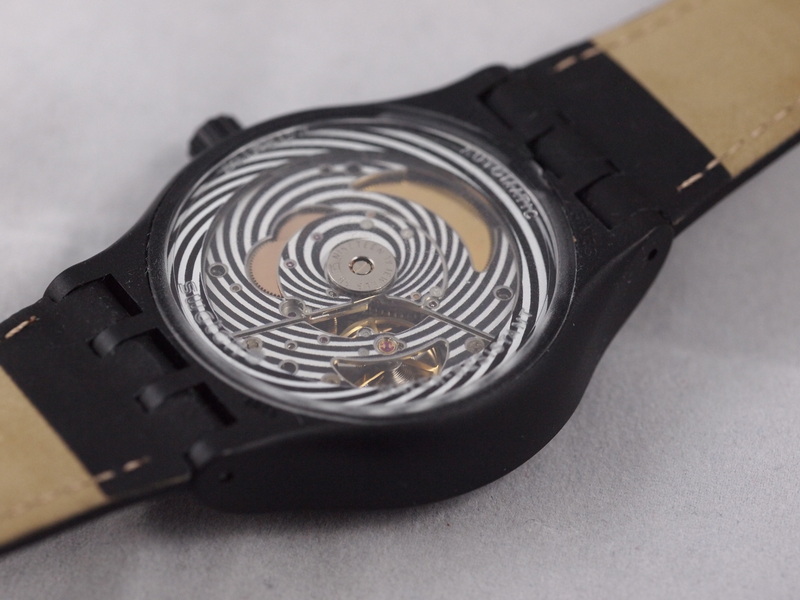 Swatch also made the rotation visually stunning by adding patters to the back of the movement and the perimeter of the rotor creating a very nice sight as the rotor moves. 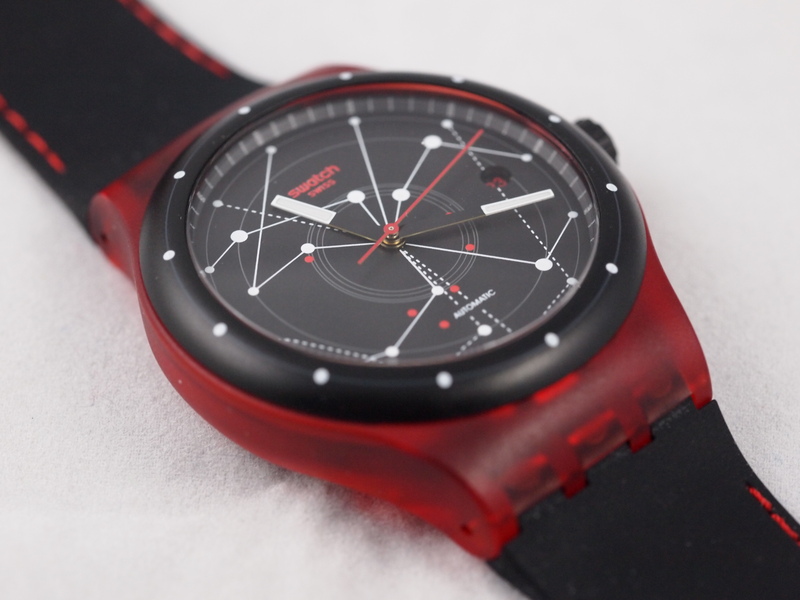 The constellation patters on the dial makes for a unique and eye catching front as well. 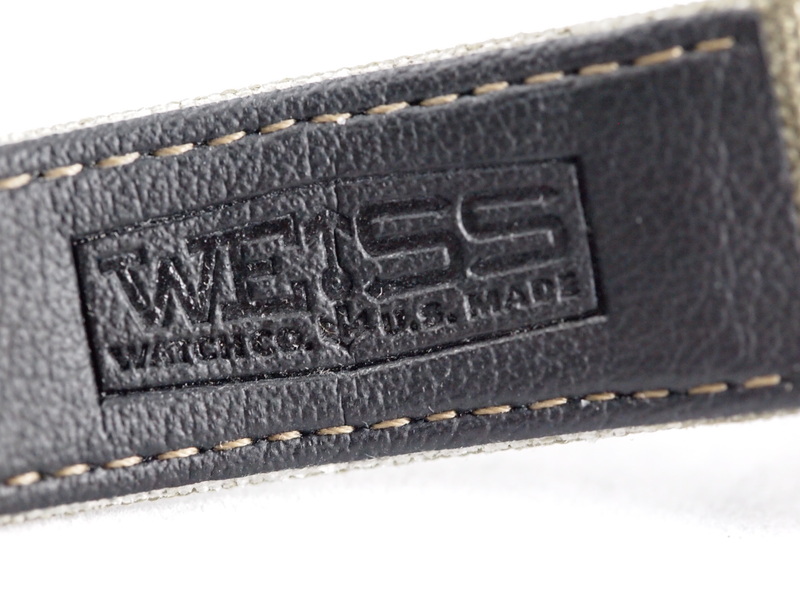 The band comes in either leather or on a silicone. The latter is unbelievably comfortable. As an everyday or a sports watch it wears lightly and comfortably. The slightly dressed up black version that comes on a leather band has a less pronounced constellation design on the front making it blend well in a more dressy setting. 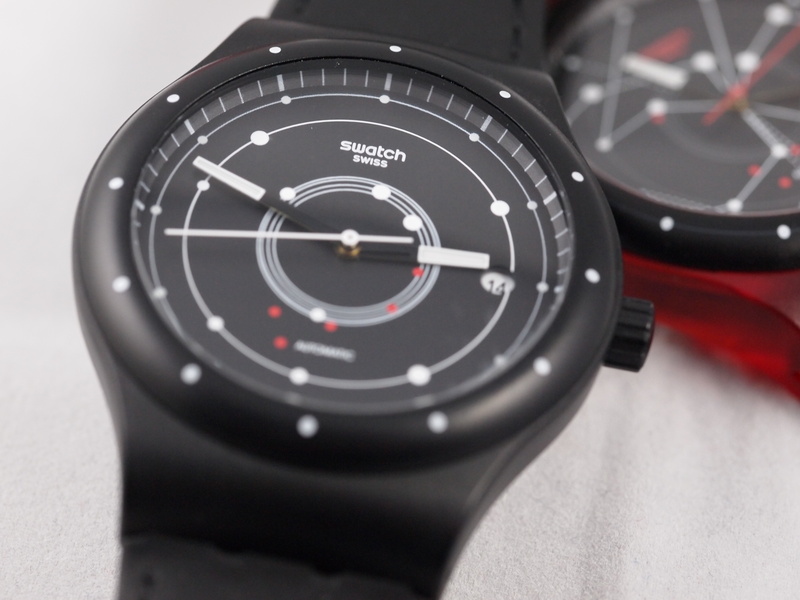 The Sistem51 is the most wearable piece of horological innovation in a long time. 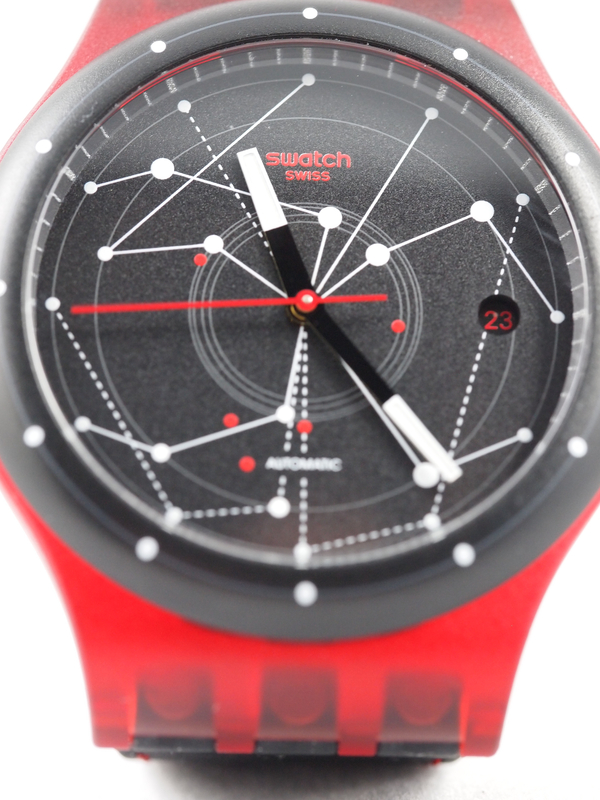 If you don’t care for innovation, it is still an attractive and comfortable Swatch. 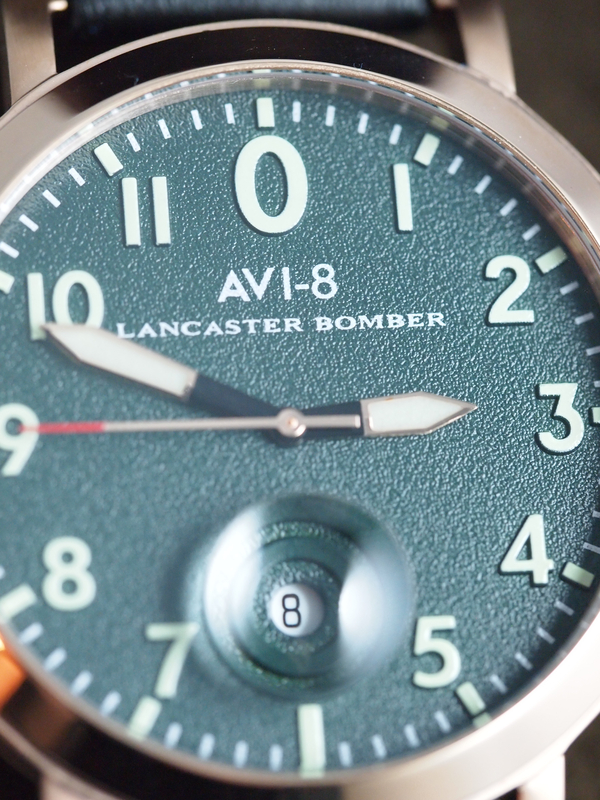 While its not super fancy, its innovation definitely makes it a staple for any watch collection. 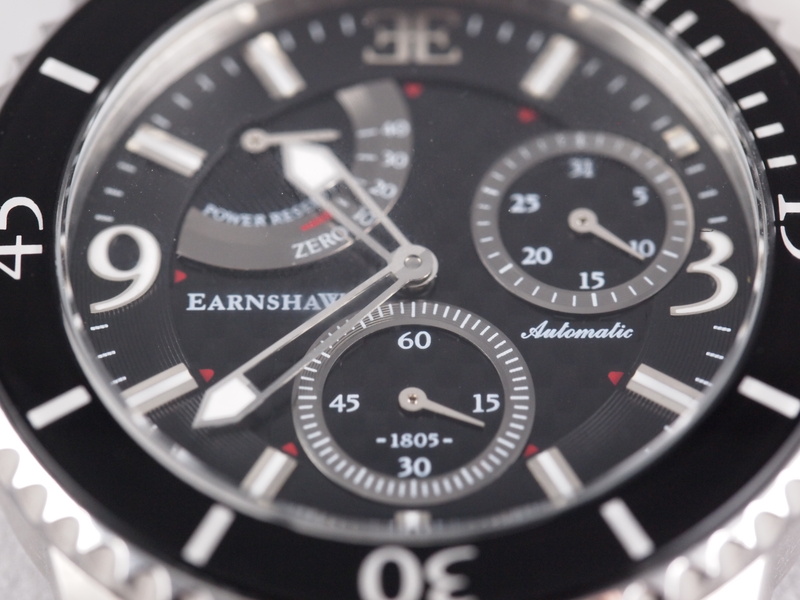 With a price tag in the $200-300 range this watch is affordable on almost any watch budget. 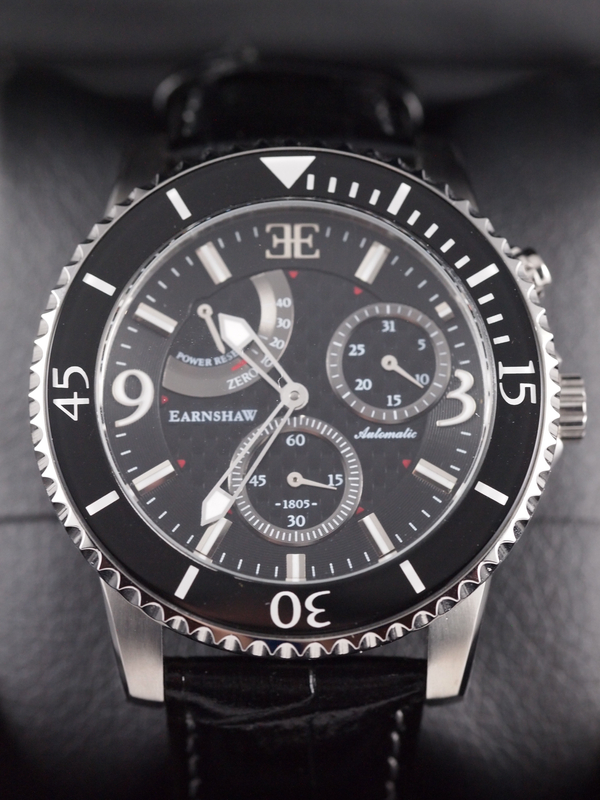 My experience with Earnshaw watches was Interesting. Within one brand and two watches I found a diversity of design. One represented a modern sports/diver watch while the other was a more simple and elegant everyday watch that drew its design inspiration from a marine chronometer. As soon as I put it on my wrist I knew the Admiral was not for me. 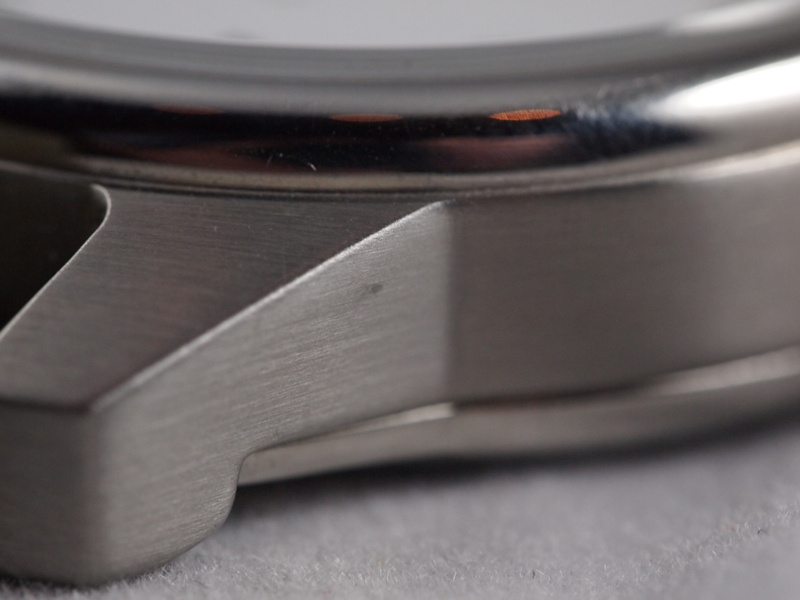 While I liked the dial design, and the overall styling, it was simply too thick for my wrist. At about 14.5mm thick it was just too much. This watch needs to be on a wrist far larger than mine to feel comfortable. While the width of a watch is something one can get used to, the depth is one of those things that either works for you or it doesn’t. 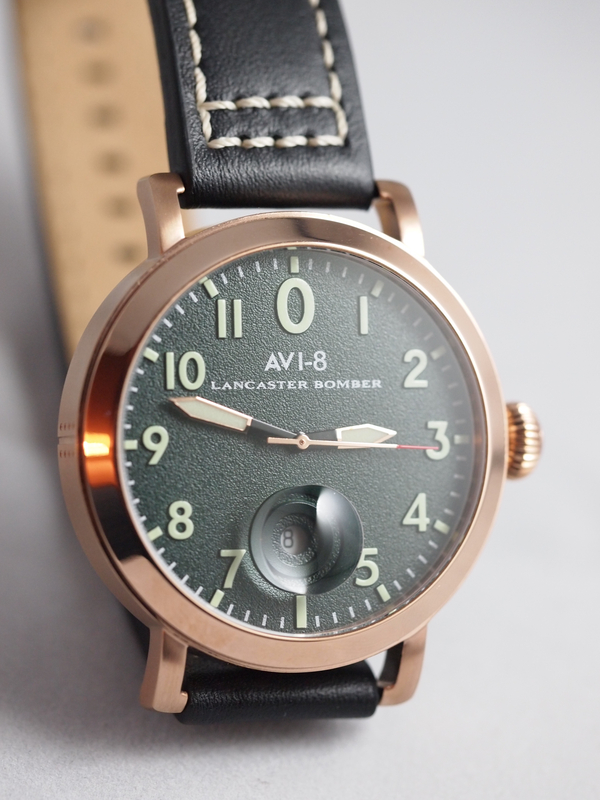 Beyond my initial resistance to it based entirely on my opinion, there are some good attributes to the watch. The dial is very well designed and while busy manages to be very legible. 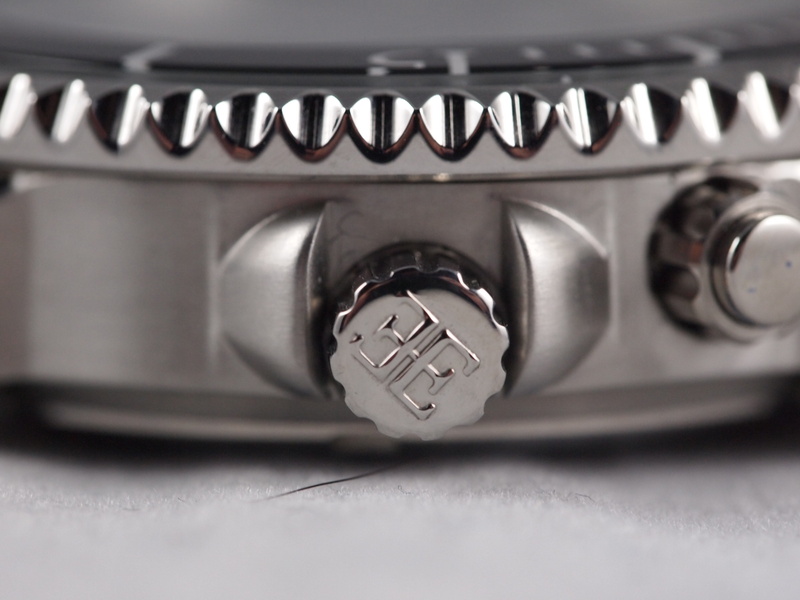 They opted to have mostly hollow hands with just the tips filled which allows for greater legibility of the functions such as the date and the power reserve. 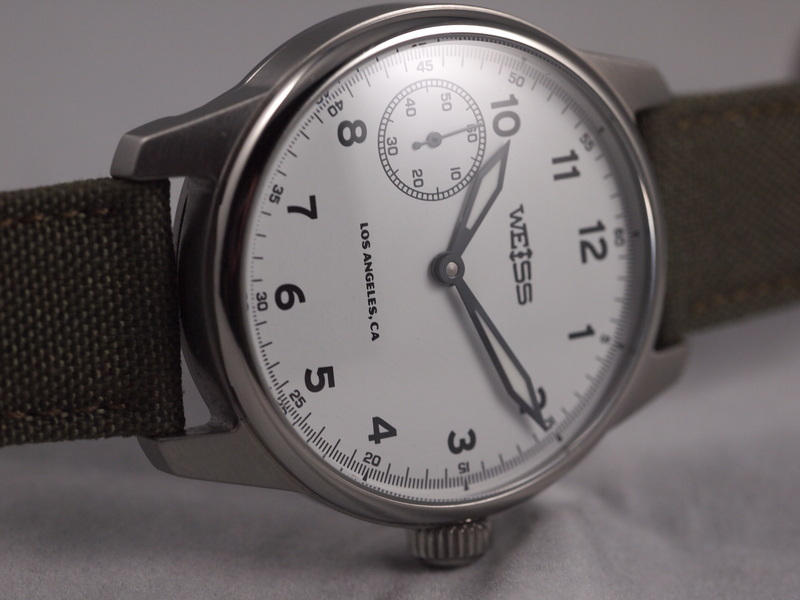 The case is and feels very solid, and has a nice weight to it that you sometimes do not get with watches of this type. The button above the crown activates the date function (the sub-dial in the upper right, and while it seems like a bit of overkill to have such a pronounced design feature just to set the date, it was oddly reminiscent (in a good way) of setting the date on an aircraft clock. It also runs reliably on its Chinese caliber CH-TY2714. 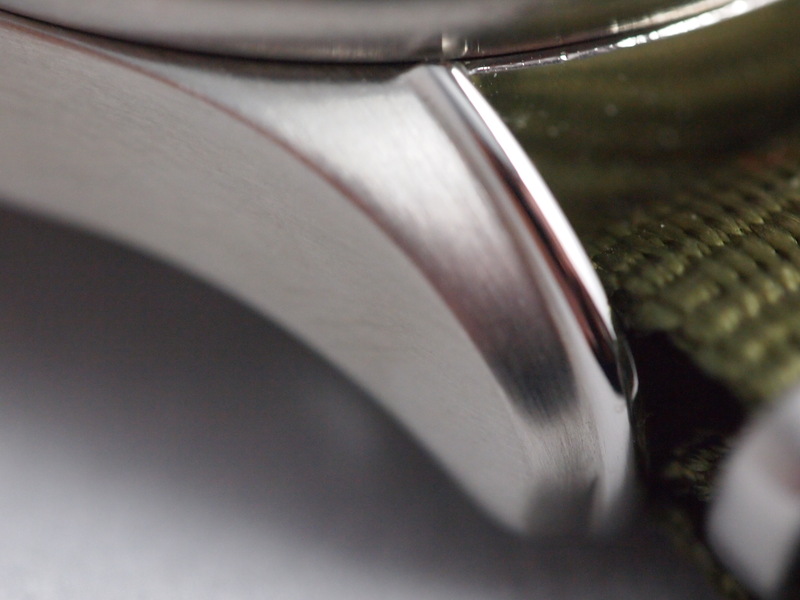 All in all, it is a good-looking, hefty watch that happens to be too thick for my wrist. 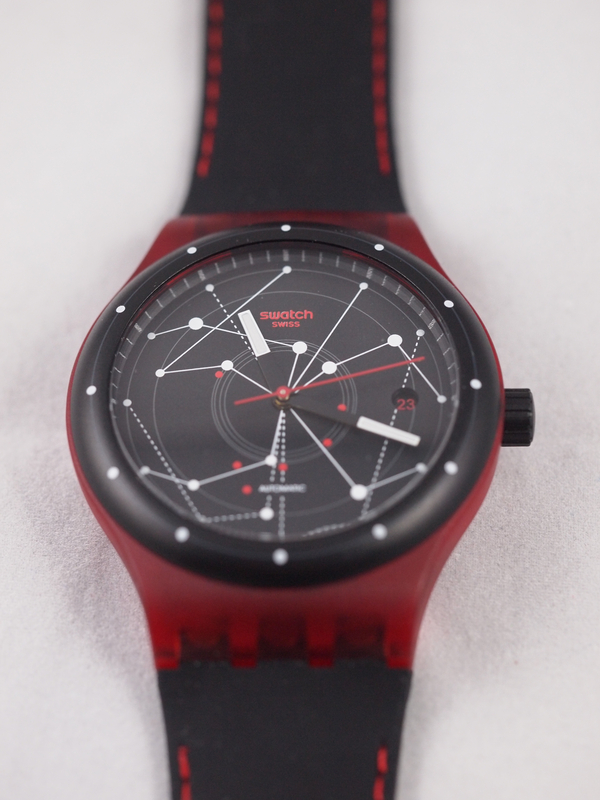 If you are into larger, sportier watches then this is definitely an option. While the listed retail price at $680 is a very high price to pay for this watch, it is routinely available at much lower price points. Places such as Gilt and Overstock.com have sold out of this watch in the $120 range, which I would say is a fair price. The second watch I tried was the Ashton. I have very little negative to say about this watch. 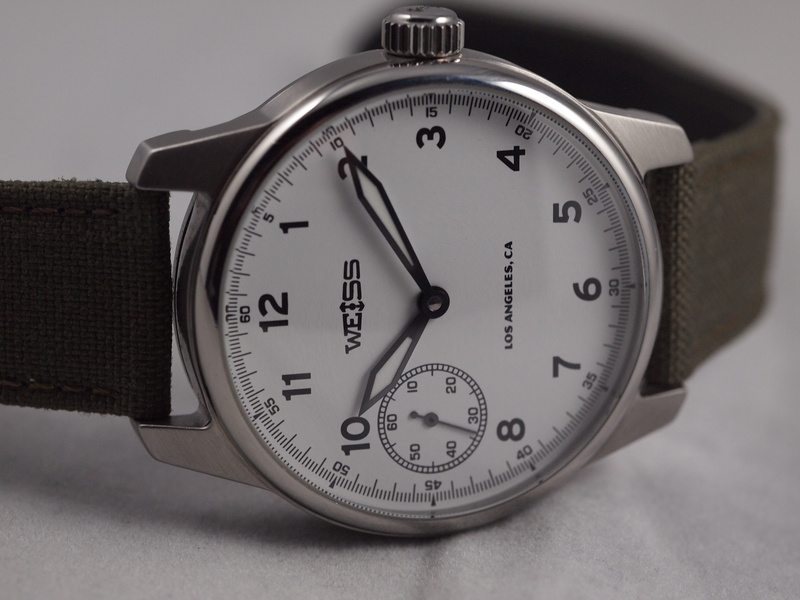 It is a comfortable wear, has a great weight, and a well executed combination of different design elements from the marine chronometer inspired dial, the porthole styled bezel, and the brushed steel band with polished streaks. 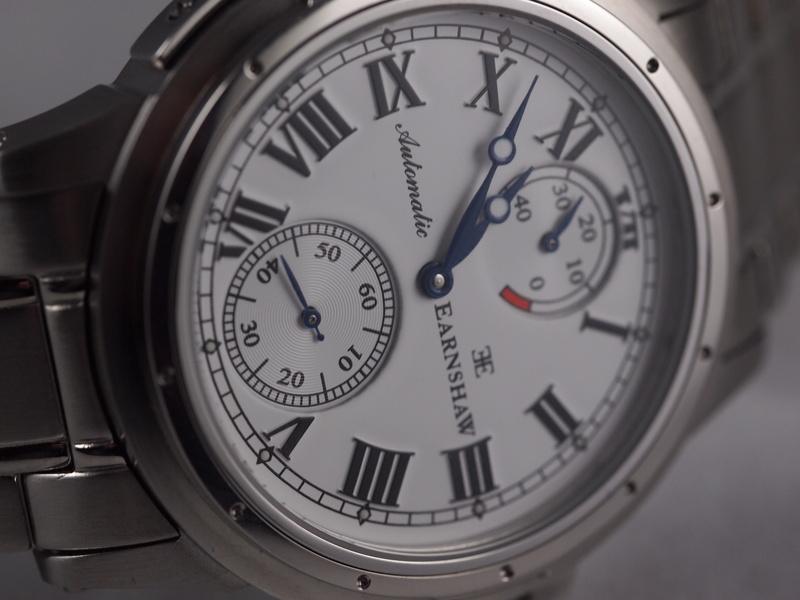 The dial is very legible with the prominent roman numerals and the elegant and simple chapter ring. The Breguet hands fit very well with the style of dial. Built with what looks to be a member of the Chinese CH-TY25xx family it is a solid automatic movement for the price. The problems I found with this watch were that the power reserve continues to move forward past the full indicated 40 hours and can look empty even though running. 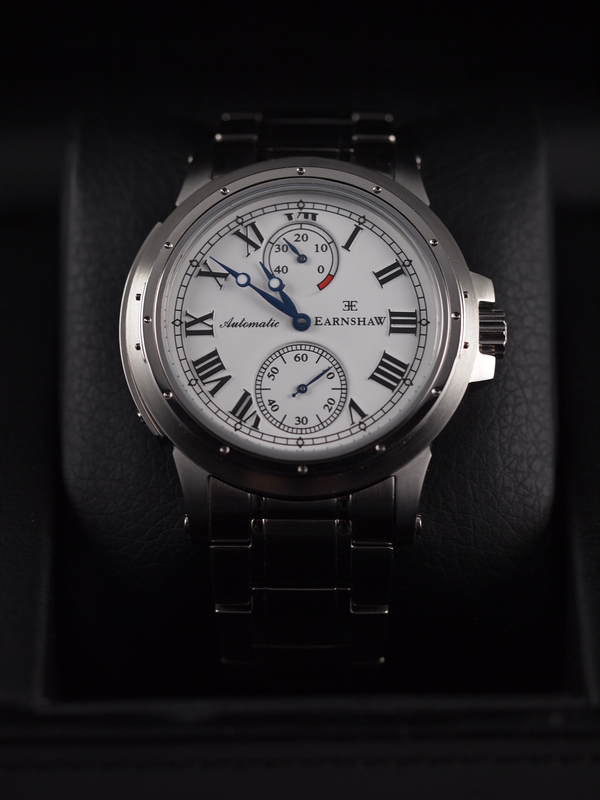 The Roman numerals while fitting well into the watch design are stamped on the dial as opposed to being made separately and inserted in. This has the unfortunate effect of making the dial look a bit cheap at certain angles. Additionally the band, while well finished on the outside had cut marks on the less seen sides. 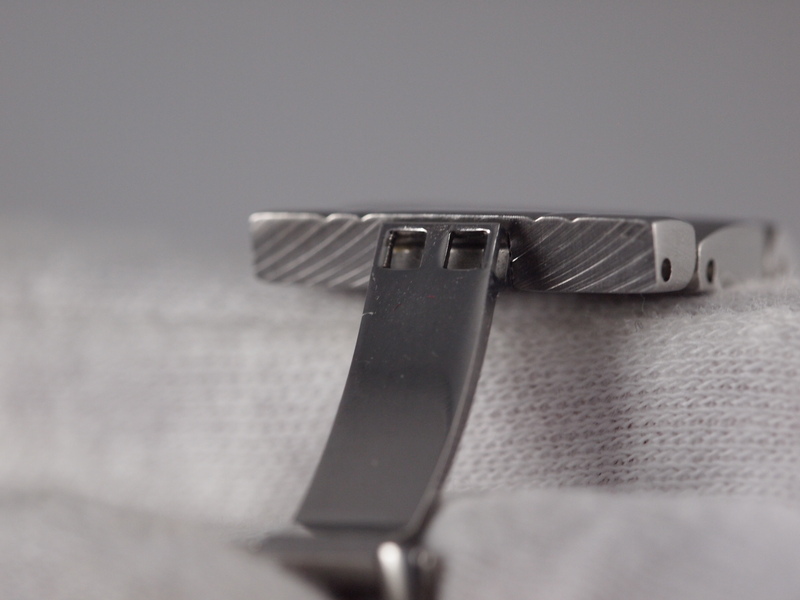 Finally, the clasp is a bit tough to work until it loosens a bit. I thoroughly enjoyed this watch. It was comfortable to wear, looked great, and is well executed. The listed retail price at $600 is high for this watch, but was listed a while ago at Gilt for $200, and I am sure will pop up again at a similar price. In that range it is a good value. 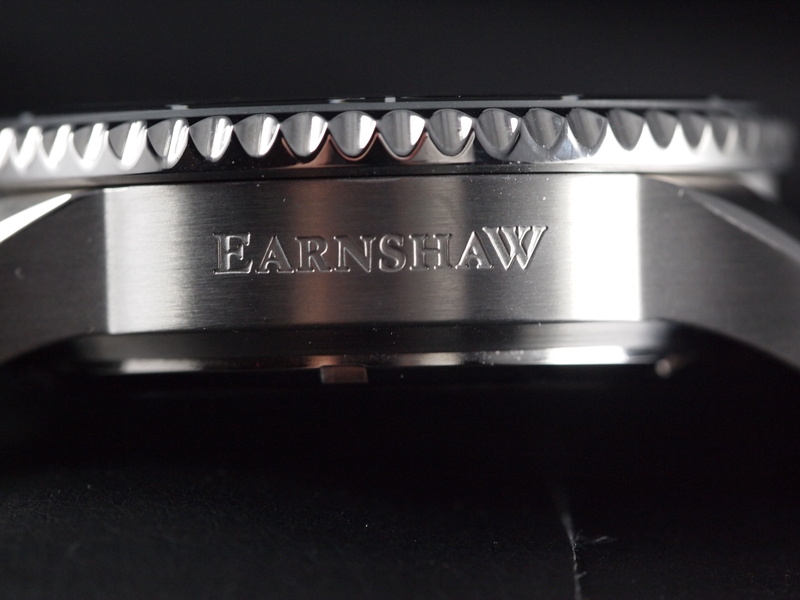 I think it is worth clarifying that although Thomas Earnshaw was a major contributor to the world of horology with his pioneering in the field of Marine Chronometers, the current brand that bears his name has no resemblance to the legacy of the man himself or his contributions to horology (even though their marketing would indicate differently.) 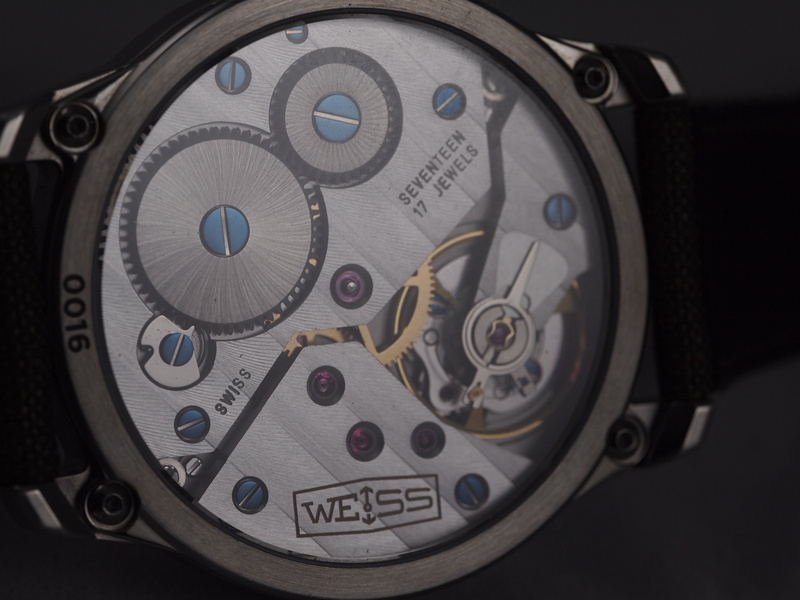 They are instead a modern incarnation that puts out large production watches using mass-produced movements. 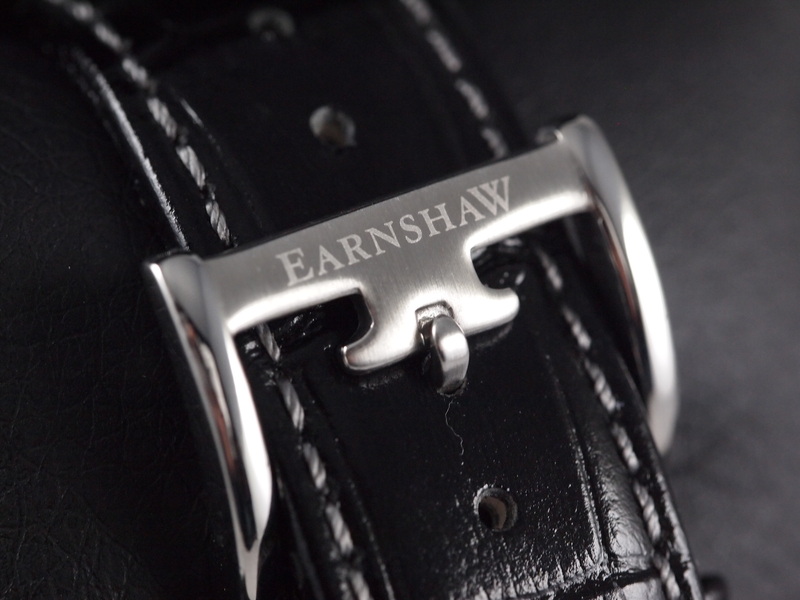 Judged against the legacy of Earnshaw, one is likely to be let down, but judged as its own different brand, Earnshaw produces some well-styled watches worth seeking out if you are in the market and can find them at the right price. The mid to high-end of fashion watches is littered with either watches made to look like much pricier brands or with pieces that are simply too plain to stand out or justify their pricing. 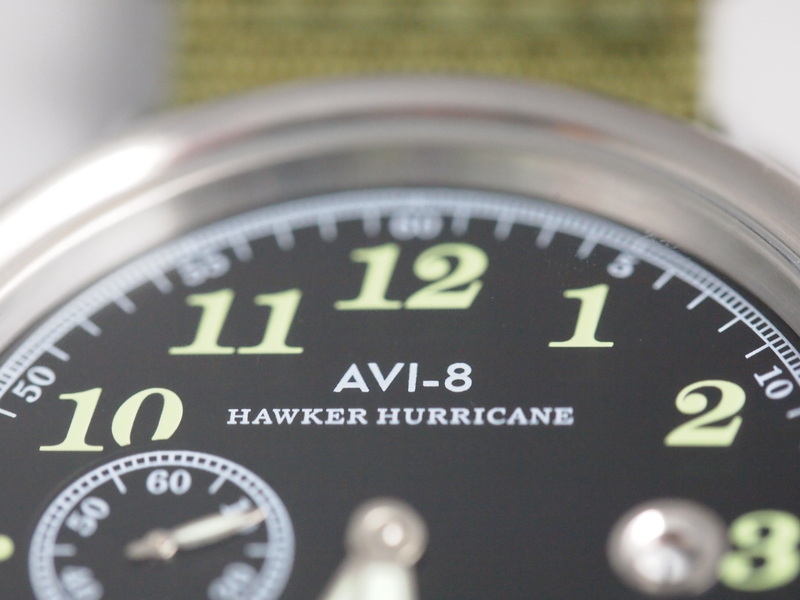 UK-based AVI-8 Watches has managed to break this mold with a bold series of designs inspired by military aviation. 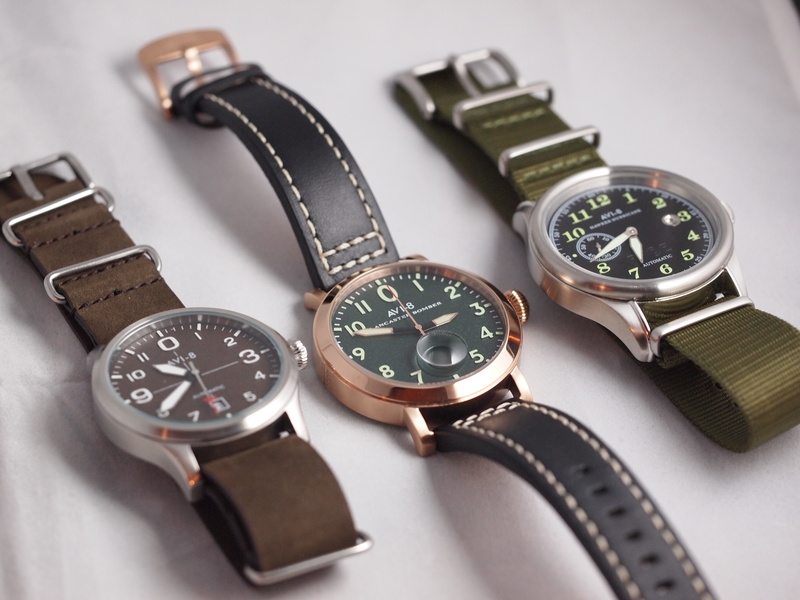 In a short period of time they have managed to roll out an extensive line of original timepieces with a particular attention to detail and a definitive flight-inspired look. I was given two pieces from them to get a feel for their Hawker Hurricane line and their Lancaster Bomber line. Convinced on the merits of those two, I have since added a piece from the Flyboy collection to my own collection. 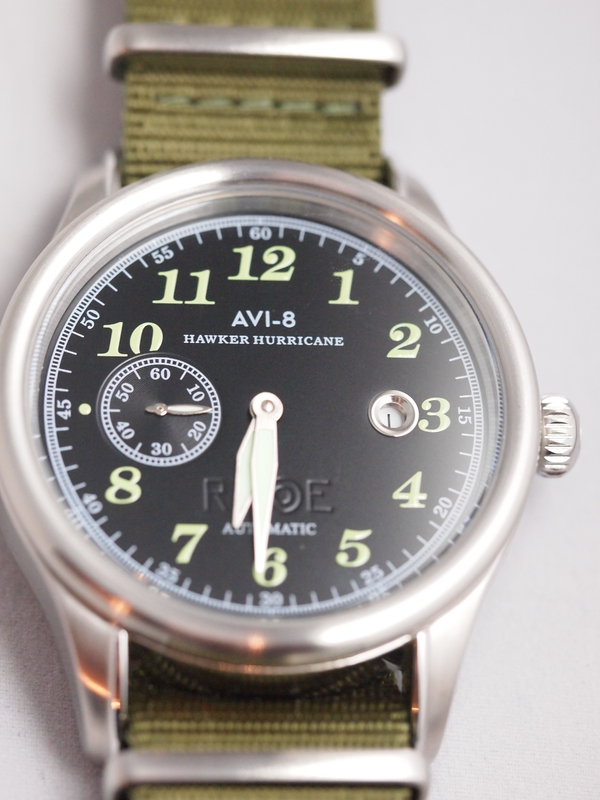 As a sucker for canvas bands, I was immediately drawn to the Hawker Hurricane Ref. AV-4017-04. 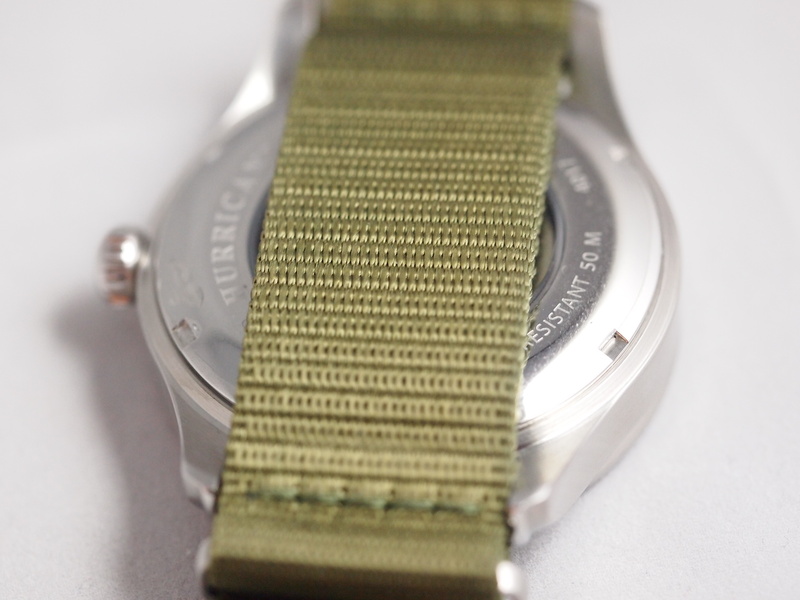 The shade of green on the band is definitively vintage military. 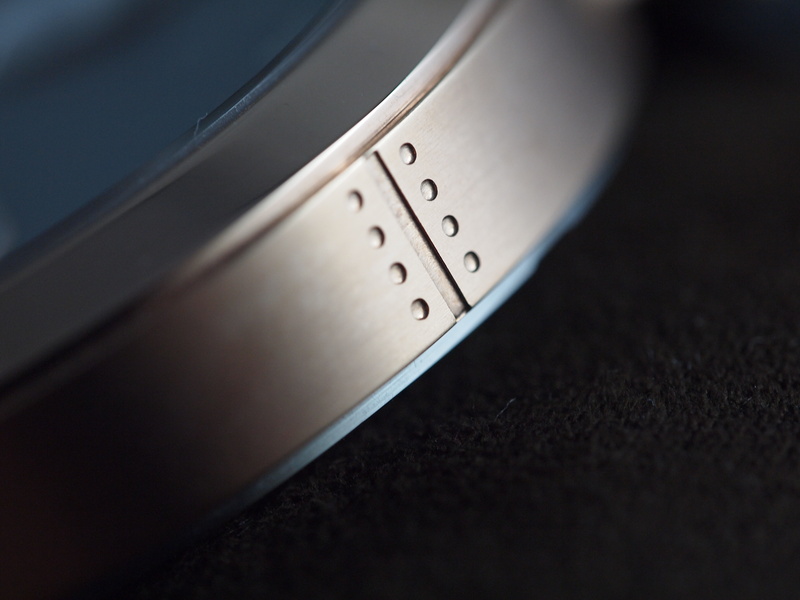 While it is a pretty large watch at 44mm, with a substantial thickness, it wears lighter than one might expect. The dial is easy-to-read and the Arabic numerals are very well selected for the time period they are trying to represent. The outer 0-60 index ring fits in very well around the prominent numerals, and I am always a fan of a second sub-dial at 9 o’clock. 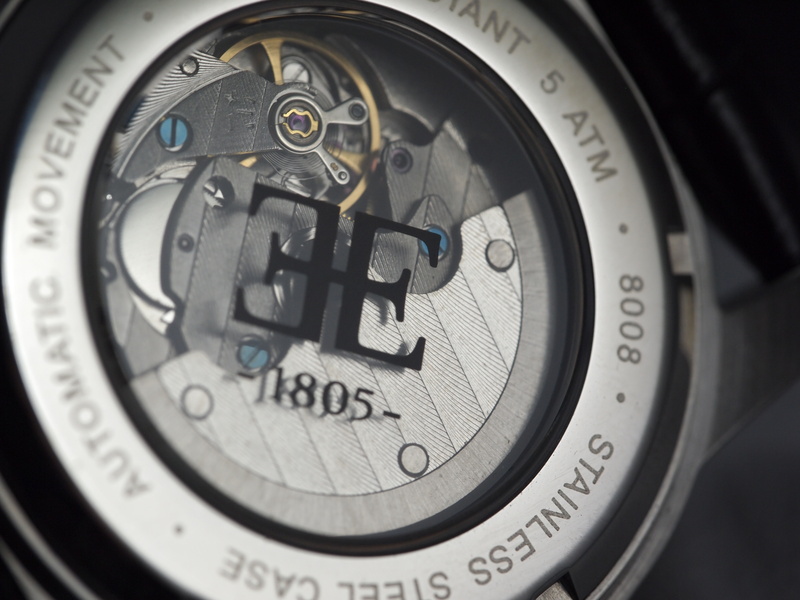 The thickness of the case is used to create a very well executed sense of depth between the crystal and the dial. 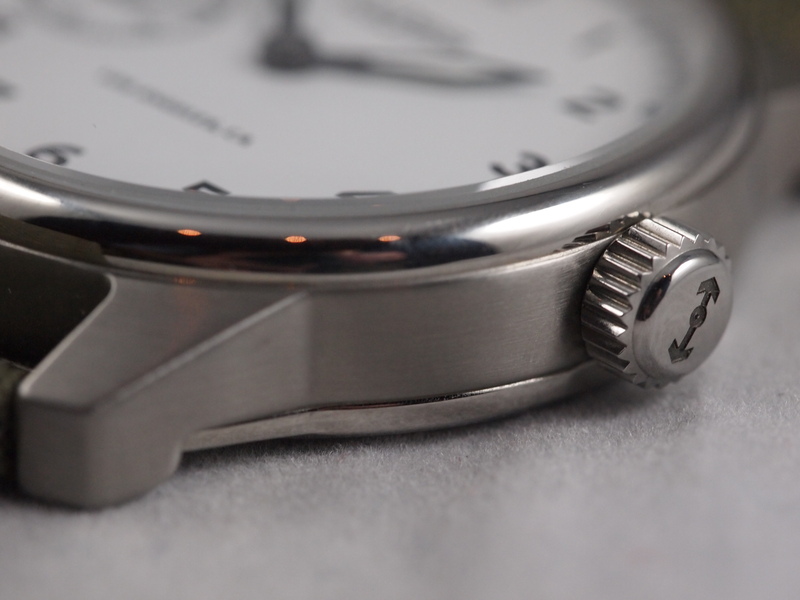 The lugs have a small flare that helps to distinguish an otherwise plain (but well built and finished) steel case. There are a few very minor things I might highlight as issues. 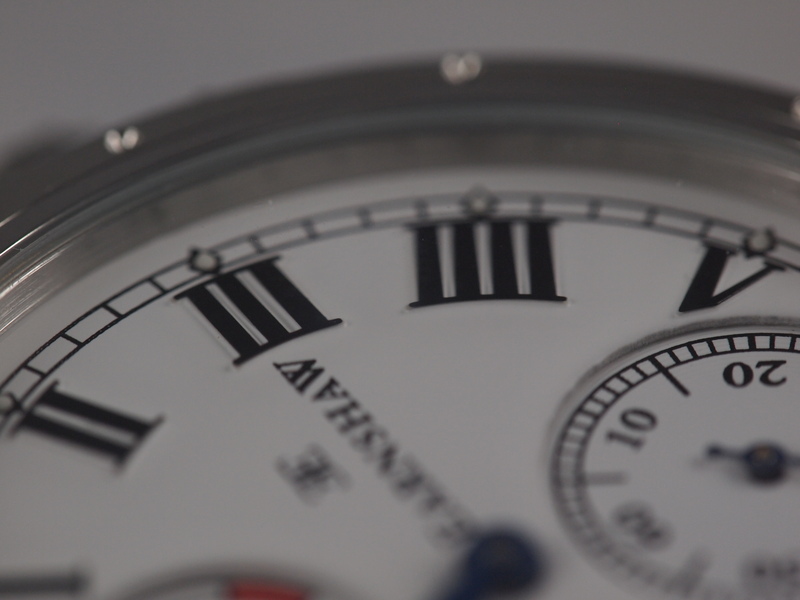 Firstly, the date display is set very low in a small porthole at 3 o’clock that can be difficult to read. For such a large-featured watch the date is a bit lost. 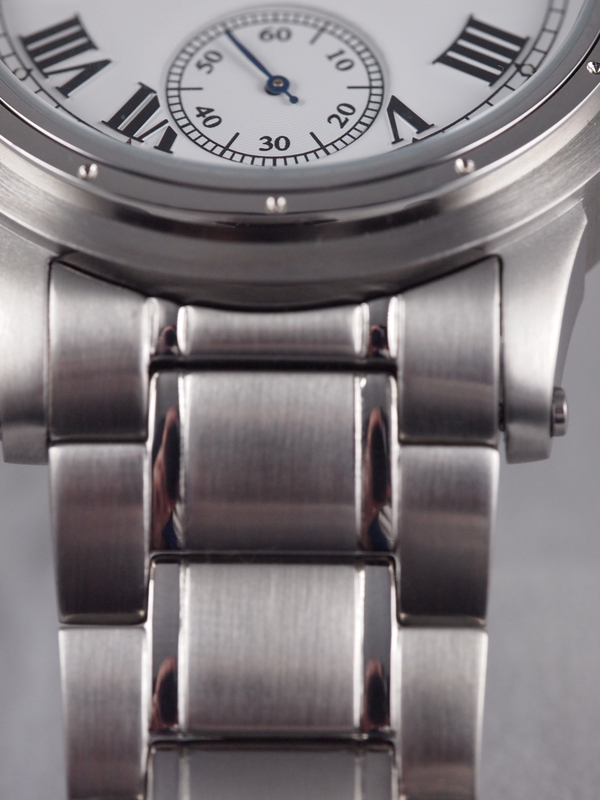 Secondly, the hand design differs between the second hand and the hour and minute hand. 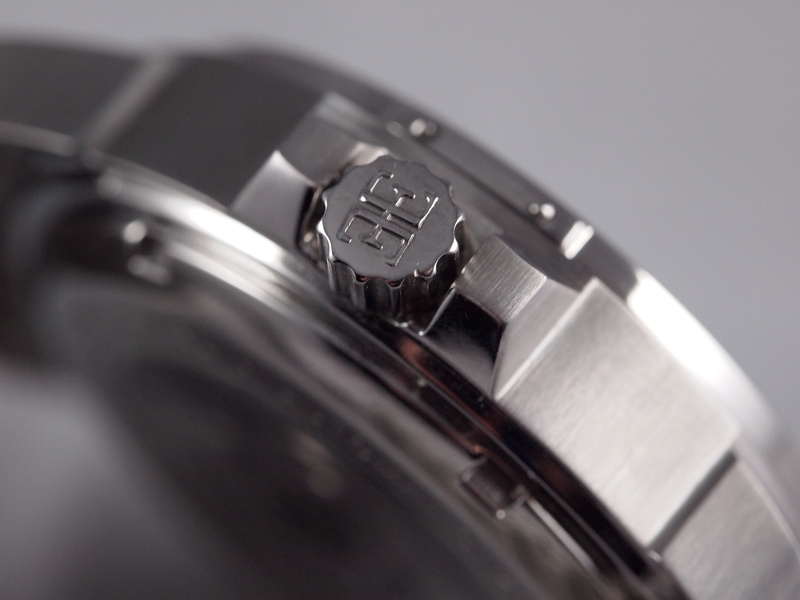 The latter are sharp and angular while the second hand is more of the round style seen in Panerai sub-dial hands. Finally, while I love exhibition backs the canvas band obscures this one. This is not true with any of their other automatic models that utilize leather bands. All in all these design issues are minor, and do very little to detract from the overall beauty and utility of this piece. It’s a comfortable wear, great style, and can be had at a reasonable price point. 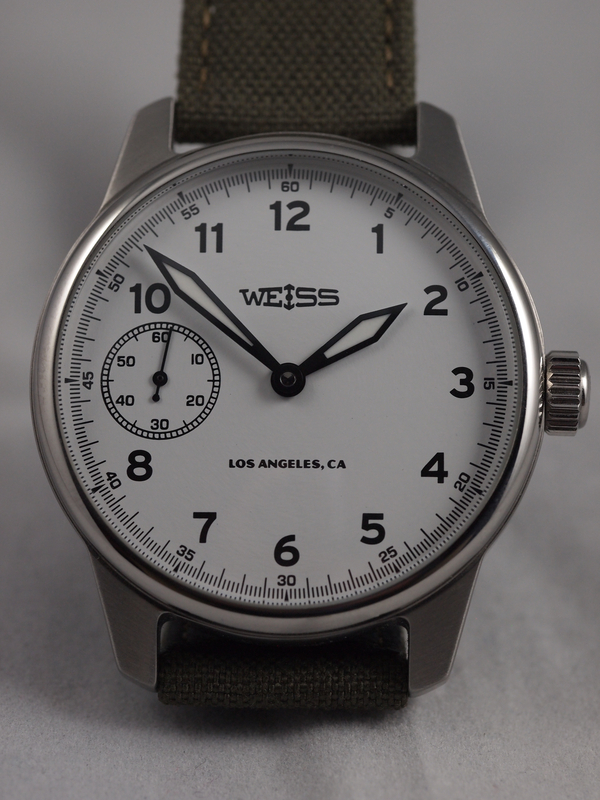 While their listed retail price is perhaps higher than it should be, a quick search online and you can find this watch at a price point that makes it well worth the purchase. The presence on the wrist matches the grandeur of this aircraft. While it is smaller from lug-to-lug than the Hawker Hurricane reviewed above, it feels and wears noticeably larger. 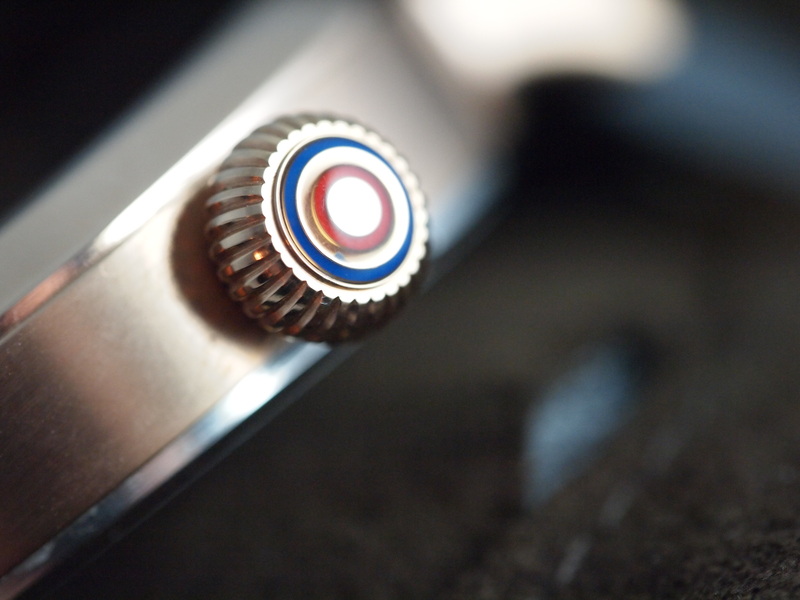 The crown proudly displays the logo and the colors of the RAF, which is a small but fantastic detail on the watch. Its hands are very much like those found on aviation instruments and setting the time feels like setting a gauge in a cockpit (in a good way.) 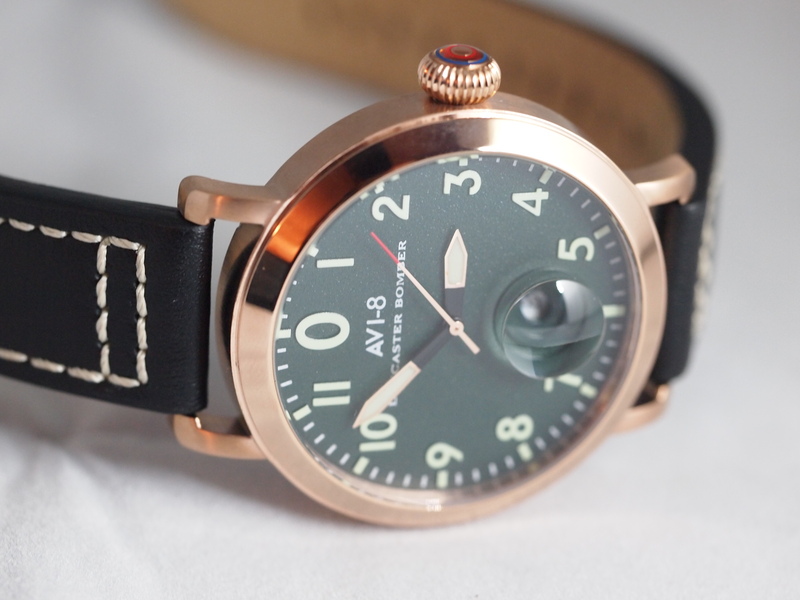 They recapture the distinctive “bubble” underneath the cockpit with a pronounced date magnifier, and add an interesting “riveted” side to the case. All together it is a very well thought out and executed tribute to the aircraft it is based off of. There are only two things that I found issue with on this watch. Firstly, the disproportion between the date magnifier and the date window is slightly off-putting. Secondly, such a legendary aircraft tribute should have a movement to match. 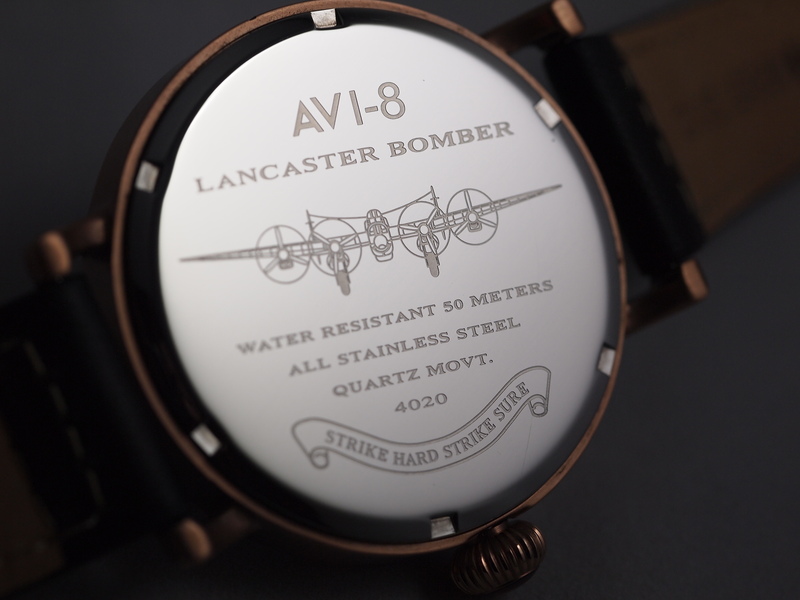 Quartz seems to detract from the image of the Lancaster Bomber. Other than that it is a very nicely designed piece that is definitively not a dress watch and definitively not a casual sports watch. It is a watch that would go very well with a dress shirt with the sleeves rolled up. 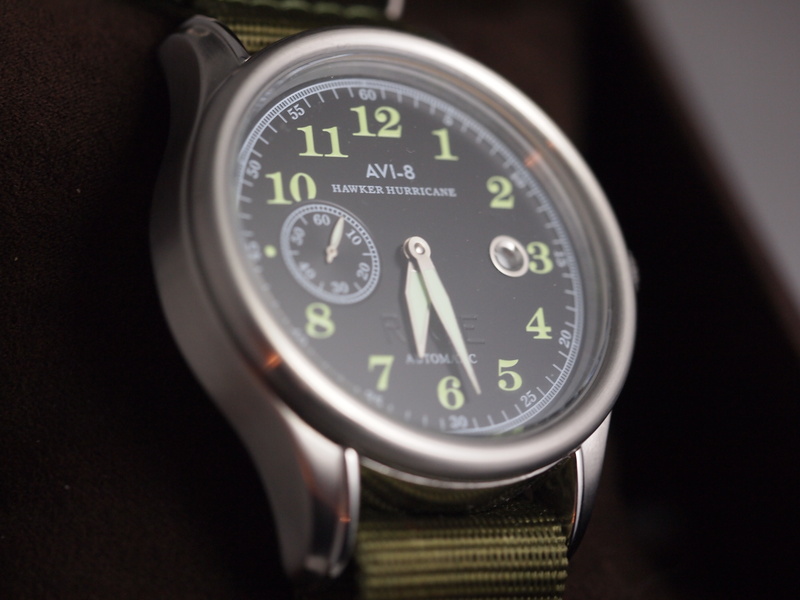 After handling and wearing some of their watches I think AVI-8 is a brand with great promise. 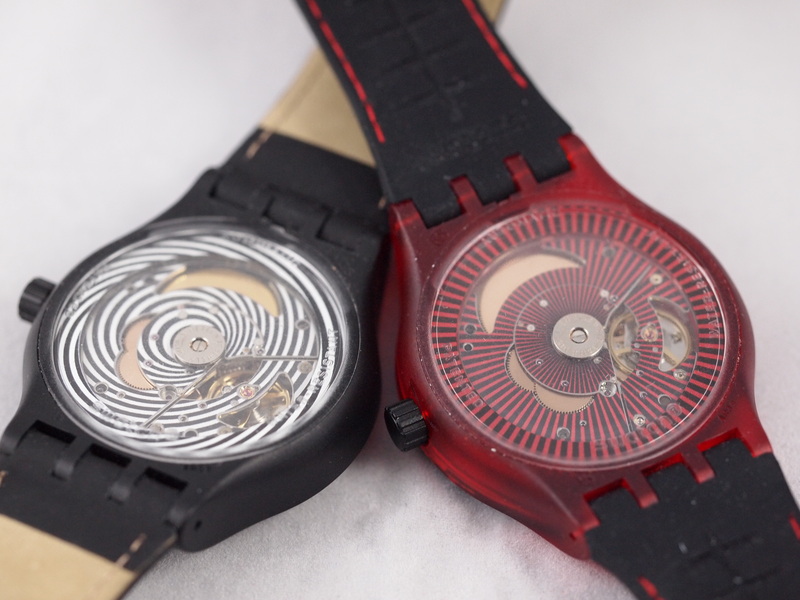 Their watches are unique, well conceived, and well executed. They stand out against the backdrop of the myriad of other watch companies competing in the “fashion” watch market that they do. The one thing I really wish they had was better movements. At the end of the day, the meticulous design detail that they put into their pieces is not matched by the quality of movements they utilize. Fortunately that is something one can add in due time. 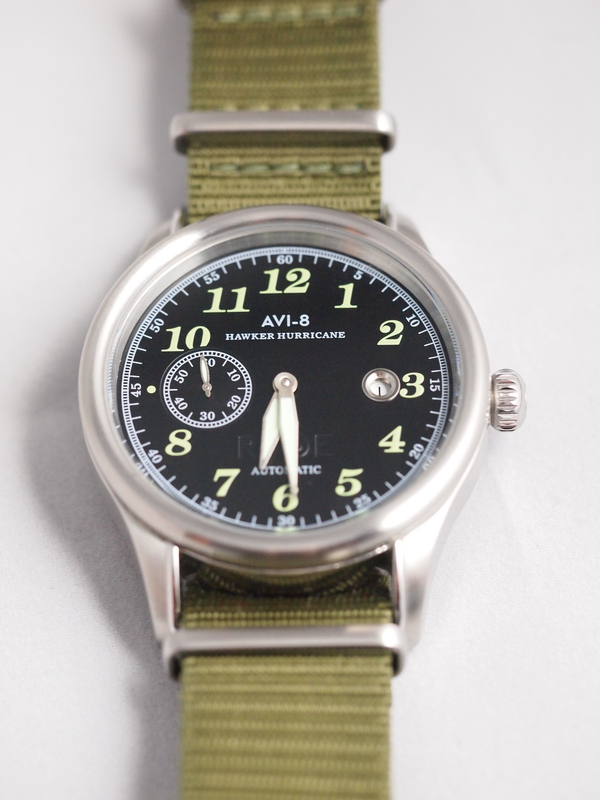 You can always add better movements to great designs, and with AVI-8 the combination of their design acumen with a high quality ébauche would make these truly amazing pieces. An ETA would change the class of these watches entirely. Wether or not this is a place they want to go, I am unsure, but they have an attention to detail that appears to be unmatched in the market segment they compete in, and they would be more than qualified to make the step from fashion to collectible. I for one am hoping they choose to fly into that stratosphere, and will certainly keep an eye on what they keep churning out.